After 139 years, the Women’s Christian Association of Belleville (WCA) concludes their active service. Their final donation presentations will be in the amount of $100,000 each, to three deserving community organizations: Gleaners Foodbank, Three Oaks, and The Hastings and Prince Edward Learning Foundation. The WCA is best known as the group that founded the Belleville General Hospital. In 1872, a catastrophic train crash near Shannonville clearly demonstrated the need for organized hospital care and brought the ladies of the various Belleville churches together to meet this need in the community. While they were busy raising money to buy the land and begin construction on the hospital, they took on an additional role: they became the first social services agency in Belleville. They opened a temporary home for the friendless and operated a soup kitchen to feed the hungry. If you look at early photos of the hospital, you will notice that there were two buildings, joined by a covered walkway. One was the hospital, one was the home for the friendless. The WCA built two structures and its dual focus was served. The WCA has provided Belleville with the distinction of being the only city in Canada to have a hospital built, owned and operated by a group of lay women. This was no small achievement for a group of women who did not yet have the right to vote. 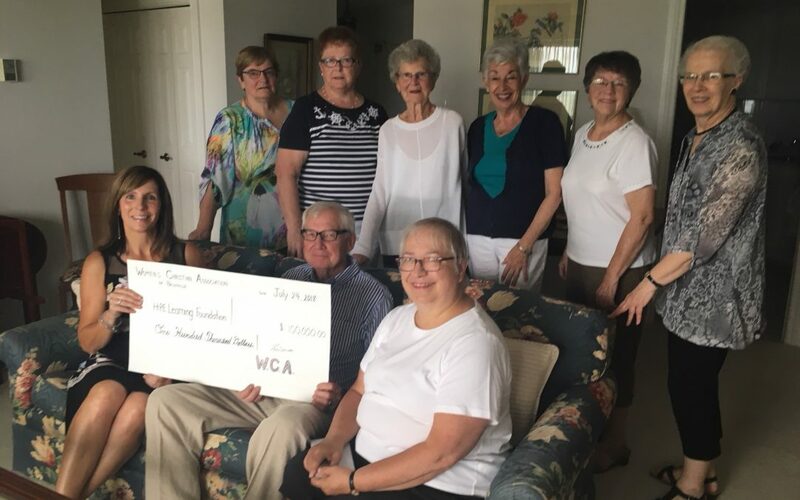 More recently, the WCA has taken on other projects to improve the lives of people in Belleville. One of their current projects is the funding of the ‘Street Nurse’ program.